Although the owners of Holy Smoke, the Nelson, British Columbia, head shop and culture center, wouldn’t exactly put it this way, the raid on their shop two weeks ago tomorrow is igniting a holy war in the cannabis-friendly Kootenay region of the province. When Nelson city police ended a de facto truce by arresting Holy Smoke co-owner Paul DeFelice for allegedly selling marijuana at the store, Holy Smoke and its supporters started mobilizing to fight back, and they've only just begun. 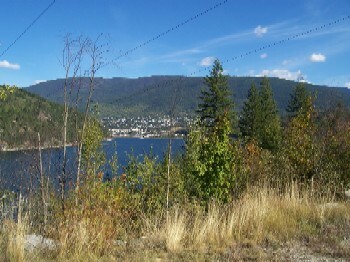 Just north of the US-Canada border above Spokane, Washington, Nelson, a city of 10,000 located along the shoes of Kootenay Lake's West Arm, is a veritable reefer redoubt. While official figures are naturally impossible to come by, marijuana growing is a major local industry, both in Nelson and in the nearby Slocan Valley. Area youths take it across the mountainous, forested border on foot and by mountain bike, on skis and on snowmobiles, while bigger operations may employ helicopters and sophisticated tracking devices. Area merchants have told DRCNet they know when the crops are coming in because that's when their sales increase. Holy Smoke is the most visible symbol of the region's cannabis culture, but there are plenty more if one looks, from the hemp shop on downtown Baker Street to the dreadlocked young denizens of the town to the four marijuana grow supply shops -- the small town has twice the number of the entire Washington-Baltimore metropolitan area -- not to mention the smell of sativa and indica smoke washing through the air not infrequently. The shop, co-owned by DeFelice, Alan Middlemiss, and attorney Dustin Cantwell, has been a center of the region's cannabis culture since it opened in 1996. A year later, Nelson police raided it, but were laughed out of court by a judge who demanded they learn how to properly do searches, and since then they have largely left the place alone. Even as whispers that marijuana was being sold from the store spread within the community, police failed to act. In fact, Nelson police told DRCNet off the record earlier this year that they believed selling at the shop had made street dealers scarce. If so, that has all changed now. DRCNet attempted to speak with Nelson police this week, to no avail. The officer in charge of the raid, Sgt. Steve Bank, curiously warned that more arrests were coming, then went on vacation, and no one else at the department wanted to talk about the raid. With DeFelice facing possible prison time for alleged marijuana sales -- something Holy Smoke is careful to neither confirm nor deny given the parlous legal situation -- and police threatening more busts in the near future, the shop and its supporters are rallying around the cause. "We are preparing to take a 'lowest law enforcement priority' measure to the city council," said Middlemiss, "and we are taking to the streets." At the same time six Nelson police officers were raiding Holy Smoke and arresting DeFelice, a 15-year-old girl was dosed with Rohypnol and raped, Middlemiss said. "If the police had their priorities straight, that might not have happened." Holy Smoke and its supporters will tap into the Nelson area's long traditions of nonviolent protest and counterculture activism, he said. "Nelson has a long and glorious history of nonviolent action, from the First Nations to the Doukhobors [a Russian sect that emigrated to the region a century ago] to the draft dodgers, even the Japanese who were interned in camps near here in World War II organized and protested. We have a rebellious nature here, but we've been lulled into complacency," he told DRCNet. The Kootenay region cannabis nation will hold a mass march and protest in Nelson on August 5. "I think there is huge support for responsible marijuana use around here, for reordering police priorities, for making adult marijuana use the lowest priority," said Middlemiss. "But we need to be consolidating, we need a really large march, and we're hoping people will literally come out of the hemp woodwork for it. This will be a massive pro-marijuana rally, not a smoke-in, and we are expecting mass support," he said. "Look, our community has had enough of US choppers flying around looking for a benign herb, we've had enough of illegal DEA operations in our country, we've had enough of wasting our tax dollars on nonviolent drug offenses," Middlemiss continued. "We want to get to the bottom of our drug problems, but the police are the worst way of going about it." 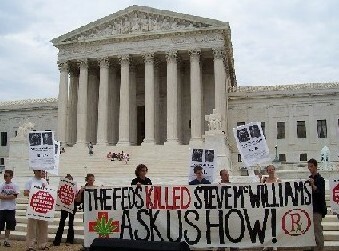 Support for Holy Smoke and marijuana legalization is not limited to the dreadlocked set. "Our supporters include bus drivers, janitors, mothers, lawyers, dentists. The chamber of commerce and local businesses will support us at the city council," said Middlemiss. "Heck, the chamber has even asked us to advertise because they get so many people coming to town and asking them how to find us." With similar attacks on another cannabis café, Hamilton's Up in Smoke, and a new conservative national government rumbling ominously about toughening the marijuana laws, the Holy Smoke folks are feeling like they may be pawns in a larger, more sinister game. "The conservatives want to stifle the alternative culture, but here in Nelson, it is part of the fabric of the city and every business in town depends on the cannabis economy. We are wondering if the marching orders are coming from Washington," Middlemiss said. "I think this is part of some sort of joint DEA-Canadian justice ministry operation," said Holy Smoke co-owner Dustin Cantwell. "The orders for this must have come from on high. The conservatives who came to power with Prime Minister Harper and his gang are embracing the American agenda, and they're starting with folks like us who stick out of the water. But we're the tip of the iceberg. Below the water line is our mass base." Holy Smoke is still open and still smoking, both indoors in its smoking room and outdoors on the nearby public land turned into a mini-park by local cannabis consumers who enjoy looking across the lake at Elephant Mountain as they toke. And it remains headquarters both for the local cannabis community and the upcoming protests. Contact them via the web site if you want to help. Already buffeted by a series of December raids and new raids and arrests of dispensary operators earlier this month, the San Diego-area medical marijuana community is now reeling under a new assault that is forcing the remaining dispensaries to close their doors. Last Friday, DEA agents visited dispensaries it had not already shut down and warned them they faced arrest if they stayed open. They shut down. The feds also seized any medicine they could get their hands on at the dispensaries they visited. The DEA and local officials claim the dispensaries were acting as de facto retail marijuana outlets and many "patients" were not really sick. But medical marijuana advocates say the dispensaries are permitted under state law and are serving sick and dying people. The battle is unlikely to be resolved any time soon, and people on both sides of the issue are looking to the courts or the legislature to clarify matters. But in San Diego, patients and their supporters are also going after the local political establishment. Dozens of demonstrators gathered Tuesday in front of San Diego city hall to protest the shutdowns before entering the chambers to urge the city council to move to protect patients. So far, it hasn't worked. "We need to stop raiding and start regulating," said Wendy Christakes, a medical marijuana patient and San Diego co-coordinator of Americans for Safe Access, the medical marijuana defense group. "Local officials are under both moral and legal obligations to develop a safe and secure system for the distribution of medical marijuana to eligible patients. Failing to do so has put us all at risk of DEA harassment and worse." "We are facing a fairly serious situation down in San Diego right now," said ASA spokesman William Dolphin. "The DEA not only raided many dispensaries, they also paid visits to ones they hadn't previously shut down and warned them they could be arrested if they didn’t close. This is creating a serious access problem for patients in the San Diego area." It's pretty clear that the local district attorney and law enforcement agreed with the DEA to go after what they've described as abuses of the medical marijuana law down there," said California NORML head Dale Gieringer. "The DEA operates in places where local authorities are willing to cooperate, and San Diego County has been in the forefront of opposition to the medical marijuana law. The city police chief and the county prosecutor are sympathetic to medical marijuana, but none of them are sympathetic to the pot club scene that emerged in San Diego." "San Diego authorities are taking the position that the dispensaries shouldn’t exist at all," said Marijuana Policy Project communications director Bruce Mirken. "While there is arguably some ambiguity in the law, many communities have decided to permit and regulate dispensaries, and that is clearly what makes the most sense for patients. We think local authorities should give patients safe access to their medicine through a set of regulations communities can live with and use their police resources for something other than harassing the sick," he told DRCNet. "This is frustrating and frightening," Mirken continued. "It seems like local officials in San Diego county have joined with the DEA to declare war on the dispensaries, and they feel like it is up to them to decide which physicians' recommendations are okay and which are not." "This is an unacceptable action of the part of state and local officials, given the explicit will of the voters and the legislature," said ASA Dolphin. "We are pursuing legal action to force them to comply with state law. Along with the Drug Policy Alliance and the ACLU, we are party to the lawsuit filed against the county to force local officials to implement state law." "Our contention is that nonprofit co-ops and dispensing collectives are legal under California state law," said Dolphin. "There is a lack of explicit direction from the state as to how these are to be regulated. The legislature decided to put the burden on local officials, much like zoning and other regulations, and local communities have the right and responsibility to deal with these things. But because of the volatility of the issue and resistance around the state, the legislature may have to act again with more explicit directions. The key question is how do we ensure patients have legal access to their medicine?" "The law does not permit dispensaries," maintained San Diego County Assistant District Attorney Damon Mosler. "The law allows people to grow medical marijuana or buy it through the black market, which is cheaper than what the dispensaries are selling it for anyway," he told DRCNet. "We've had some 20-odd stores open up in less than a year selling marijuana openly. We have citizen groups taking pictures of lots of young people coming in and out of the dispensaries." Mosler and the county prosecutor's office don't have a problem with medical marijuana, he said, just with people abusing the law. "When the law was passed, people though only sick and dying people would get marijuana, and the doctors would decide, but we have some rather unscrupulous physicians making a lot of money off selling recommendations. One doctor testified he made a half million dollars in recommendations. They are not writing prescriptions, so the DEA can't do anything," he complained. "There are mechanisms under the law as written," said Mosler. "You can have collectives or co-ops where small groups of patients or caregivers get together. If there are legitimate patients who can't grow it, cities can coordinate the collectives." Although Mosler stated flatly that dispensaries are illegal, he conceded that the law is unsettled. "Oakland is taxing the dispensaries, but other cities are doing the same thing we are. Eventually the courts will have to decide whether the dispensaries are legal or not." The other option for clarifying the law is the state legislature. "The legislature could act to clarify the law," said Mosler. "It may take us getting people in an uproar like now for that to happen." CANORML's Gieringer disagreed. "There will not be any new state law until federal law is changed," he predicted. "The only long term solution is to make marijuana an over-the-counter drug. NORML is generally pushing in favor of local regulated distribution, local option cafes, dispensaries, and cannabis shops. It's just not worth trying to sort out who is medical and who isn't." "It's possible to address this at the state level," said MPP's Mirken, grimacing at the prospect. "We tried to address this before with SB 420, and that was the subject of much wrangling and produced mixed results. Just getting that passed was like pulling teeth, and I don’t imagine the legislature really wants to wade into this again." It would be better if local communities could craft reasonable regulations, Mirken said. "It is not unreasonable for different communities to craft different standards, but local governments need to approach this with some level of common sense and decency. If that doesn’t happen, we will have to figure out what to do next." California's medical marijuana law has evolved into a serious muddle. Something is going to have to happen to sort it all out. In the meantime, California dispensary operators should be looking over their shoulders. MPP's Mirken had some advice for them. "Be very careful and understand that you could become a federal target," he warned. Operators should work with local officials to demonstrate community support, he suggested. "The most important thing is for local officials in communities supportive of medical marijuana to make clear this sort of DEA action is not welcome in their towns. Local officials need to start sending that message loud and clear. I don’t think the DEA is stupid enough to do a wholesale crackdown in places like San Francisco or West Hollywood, but San Diego rolled out the red carpet." The powerful cannabis community in BC's Kootenay region is not taking the Holy Smoke bust lying down. Holy Smoke will undertake a strong legal defense, and supporters will hold what they promise to be the largest pot rally in the area's history on August 5. Here is an update from Holy Smoke co-owner Alan Middlemiss from the Cannabis Culture forums: http://www.cannabisculture.com/forums/showflat.php?Cat=&Board=current&Nu... This is an update about the situation here in Nelson... The "Imminent arrest" threats seem to have subsided to threats of "Imminent vacations", with the crown attorney and the lead officer on summer holidays for the next 2 weeks or more. Apparently they cannot get any warrents to search or arrest anyone caught up in "operation vista" until the crown gets back. So we wait, and work. We are moving the date of our community rally to Saturday August 5th. There are several reasons for this not the least of which is the forecast for heavy rains this saturday. We plan to go to the Spearhead outdoor concert in Kaslo the night before and spread the word to the masses. There is quite a lot of interest from a broad range of people in Nelson, so it promises to be the biggest pot rally ever held in the Kootenays. I will fill in the blanks shortly. Sorry about the changed date, but its all for the best.